It is also useful to watch our information video as parents and children explain some benefits of using CleverstiX. Q: How easy are CleverstiX to use for young children? CleverstiX are simple to use. 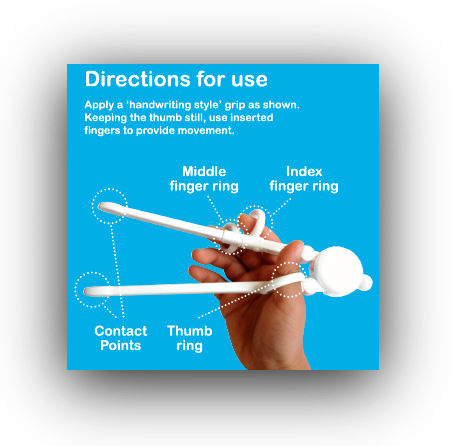 Once they have been assisted to insert the thumb and correct fingers into the appropriate rings children typically find CleverstiX very comfortable to operate. Because children instinctively like to use their fingers sometimes they might find other cutlery like a fork or a spoon rather unnatural. 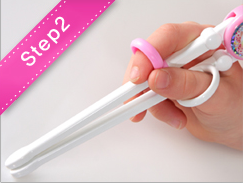 Therefore CleverstiX is designed to act as a natural-feeling extension of a child’s fingers, thus allowing the child to successfully use cutlery! 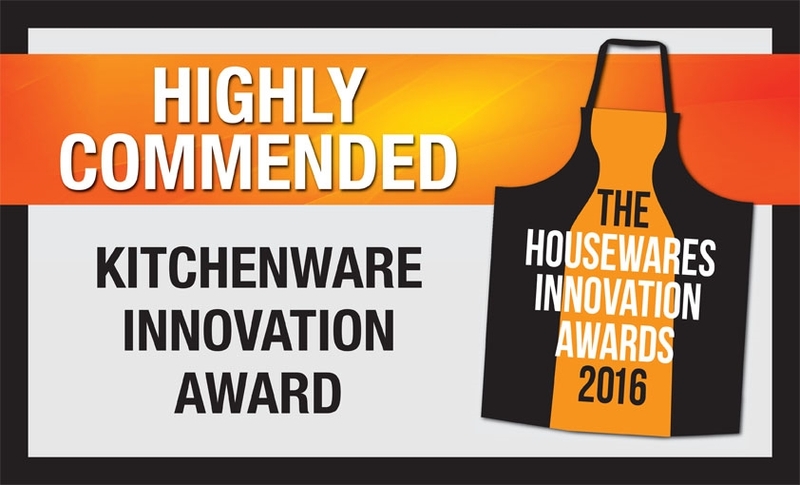 With no pointed prongs or sharp edges, ClevesrtiX can be considered safer than most cutlery too. Q: How should children operate CleverstiX? Index and Middle fingers should be placed in the silicon rings as shown in the diagram. The Thumb should be placed in the Plastic ring on the other stick in order to provide a ‘handwriting style’ grip. Aim to keep the thumb still, using the inserted fingers to provide movement. 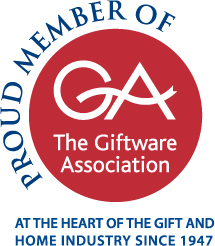 It is advised that beginners start by grasping larger items, before moving onto more challenging smaller pieces. The Silicon rings are removable. Should they become detached or displaced, they can be returned to their correct position by aligning the raised dots of the rings with those on the stick. Q: What are the main operational features of CleverstiX? Removable finger rings are strategically located, with the tough yet comfortable and soft silicon material providing the required flexibility. Align the raised dots to ensure they are in the correct position. Provides a lightweight, yet solid and sturdy base for the individual sticks. Amazingly, no adhesive is used in this design. Inside the Head, the Torque connector provides the sticks with the leverage to move up to a 70-degree opening from a closed position. Q: Why are children’s Fine Motor Skills more intensely developed by using CleverstiX compared with many other tweezer gripper style tools? 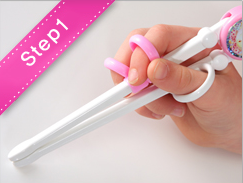 Unlike many tweezer-style children’s grippers CleverstiX do not spring-back into their original position after the user has performing the closing actions, therefore CleverstiX demand and develop more precision and more concentration. Q: How can CleverstiX improve children’s eating habits? Instead of being easily distracted or playing with their food at mealtimes, CleverstiX engages children with what they are eating. The required focus and precision means kids are hooked on the fun challenge of picking up food with their CleverstiX, leading to quieter and more manageable mealtimes for parents! All the while children are using CleverstiX they are developing their hand motor strength and control, subsequently leading to less food dropped on the floor and more in their tummies! CleverstiX limits the amount of food youngsters can eat with each mouthful, therefore teaching them to digest their food at a healthy rate. Q: How can CleverstiX improve children’s handwriting? Q: Should CleverstiX replace using a Knife, Fork and/or Spoon? On the contrary, one intention for CleverstiX is to help children to use a Knife, Fork and Spoon! Because CleverstiX intensely develops motor strength in the hand, when children return to using a knife, fork or spoon there is typically a huge difference in the control and confidence children in using other cutlery. Often there is a noticeable difference even after just a couple of weeks! Having returned to a Knife and Fork we recommend using CleverstiX alongside other cutlery for continued improvement in eating habits and in dexterity. Q: What foods or cuisines can be eaten with CleverstiX? Almost any! The WIDE tips mean that CleverstiX are suitable for eating fruit, vegetables, pasta, chips, etc – the list goes on! This means almost every meal or snack time represents an opportunity for to children intensely develop their dexterity! Q: Can CleverstiX help children with Special Needs, or as part of a rehabilitation process? 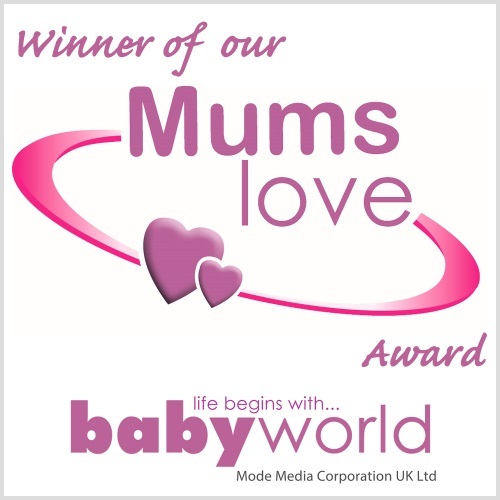 Since receiving a significant amount of positive feedback from parents of children with Special Needs – particularly Dyspraxia/DCD and some forms of Autism/ASD – we sought the advice of charities such as the Dyspraxia Foundation and the National Autistic Society. As a result we were connected with qualified Occupational Therapists (such as Skybound Therapy Centre) and the National Handwriting Association who evaluated CleverstiX over several weeks of assessment. The results have been excellent! We also now provide stock of CleverstiX to SEN specialist retailers, suppliers and educational institutions. Please check with a paediatric Occupational Therapist, SENCO, or appropriately qualified consultant to confirm whether CleverstiX can benefit your child. We are blogging about SEN related CleverstiX news here. 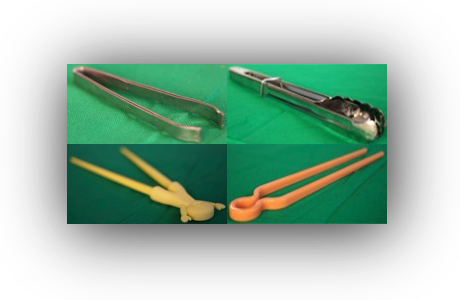 Q: What are the special operational features of CleverstiX? Q: At what ages can children use CleverstiX? From age 3 until up to around age 12. Although the upper age limit depends on finger and thumb sizes of the user, which of course can vary greatly as children grow at different rates. The inside of the silicon finger rings are 1.5cm in diameter. The inside of the thumb ring is 1.8cm at it’s widest point and 1.5cm at it’s narrowest. However in order to gain the most developmental benefits the optimum time for children to use CleverstiX between ages 3-8 when fine motor agility can be evolved as the child grows. Nonetheless older children can still benefit from use should they wish to train themselves to use conventional chopsticks. For children with Special Needs the appropriate age range may vary since even older children may enjoy significant gains from the fine motor advancements CleverstiX can provide. 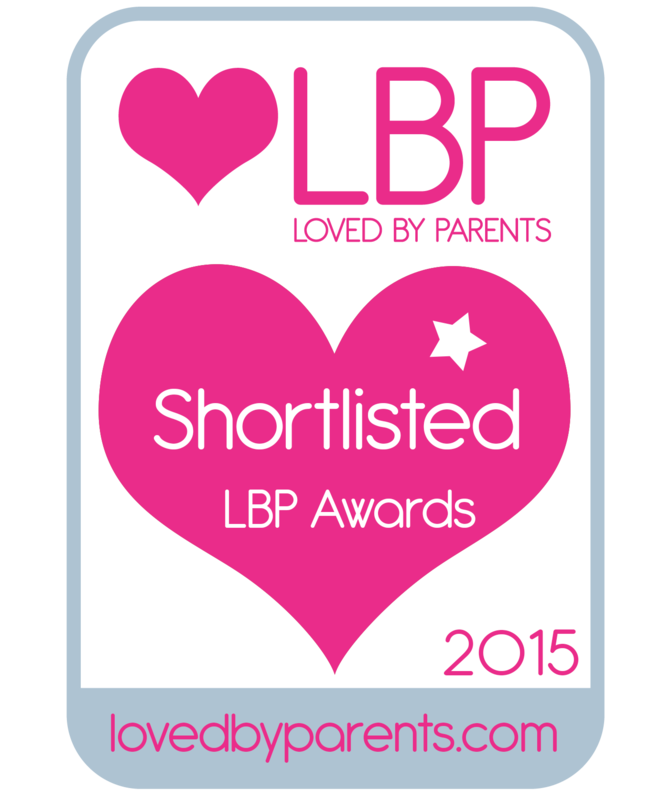 We recommend seeking advice from the child’s Occupational Therapist, SENCO or appropriately qualified consultant. Q: Is CleverstiX a toy? Despite being an ideal Children’s gift with the appearance and appeal of a toy (and despite the ‘CE’ accreditation), CleverstiX are first and foremost an item of cutlery. Occupational Therapists, Teachers and SENCOs have however been known to use CleverstiX in supervised fine motor play activities. 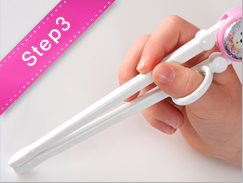 Q: Can CleverstiX train children to use chopsticks? Yes. CleverstiX are based on a training chopsticks design since chopsticks are renowned for their ability to acutely develop fine motor skills and pincer agility. They are simply based on 2 sticks stuck together at the top! Come with an unrealistic ‘spring-back’ design. Sadly real chopsticks don’t ‘spring-back’ into place by themselves! Users only fully control the closing motion, but not the opening. Opening possible up to 70 degrees wide. By the year 2030 it is forecast that 66% of the world’s middle class will be in Asia – so it’s not a bad time for today’s kids to prepare themselves for those business lunches of the future! Q: Are the silicon finger rings found on CleverstiX removable? Q: Are CleverstiX available for Left-Handed users? Q: Where can CleverstiX be found? Q: Why do restaurants supply CleverstiX? We have often been told stories about how often children visit East Asian or Oriental restaurants and are super-excited to use the chopsticks they are presented with, but are ultimately sadly unable to successfully use them – much to their great disappointment. CleverstiX solves this problem! CleverstiX enhances the enjoyment and novelty of dining-out as a family. As a result more families visit CleverstiX-supplied restaurants and they are also far more likely to return – since children want to go back to “the place where they get to use CleverstiX“! An increasingly number of restaurants also provide CleverstiX available for customers to purchase. Q: How durable are CleverstiX? CleverstiX have extremely high build quality, intended to be re-used throughout childhood. Unlike some poor quality training chopsticks these are not designed to be disposable, or to have a limited life-span period of use. CleverstiX are manufactured i International, EU and UK standards including: BS EN71-3:2013 • CE • EU 10/2011 • ISO 9001:2008. Q: Can CleverstiX be cleaned in a dishwasher? Yes, however the top rack of the dishwasher should be used and colour fade can occur after a large aggregation of washes. Q: Where do CleverstiX come from? CleverstiX are manufactured in South Korea to strict International, EU and UK standards including: BS EN71-3:2013 • CE • EU 10/2011 • ISO 9001:2008. CleverstiX.com are the exclusive European distributors of this globally patented product. Q: What is the size and weight of the product? Q: What are CleverstiX made of? The main material is ABS Plastic (temperature resistance: -20°C to 80°C). The finger rings are Silicon (temperature resistance: 40°C to 200°C).